A dozen wildfires in Northern California last October were started by "electric power and distribution lines, and the failure of power poles" from Pacific Gas and Electric (PG&E), according to a release from the California Department of Forestry and Fire Protection. The big picture, per Axios' Andrew Freedman: Contributing factors were tinder dry conditions, powerful winds, and long-term drought in the state that had left lands ready to burn. Also, land development practices likely exacerbated the situation too. Winds during these events exceeded hurricane force (75 mph), but the power line finding likely clears the way for lawsuits against PG&E. 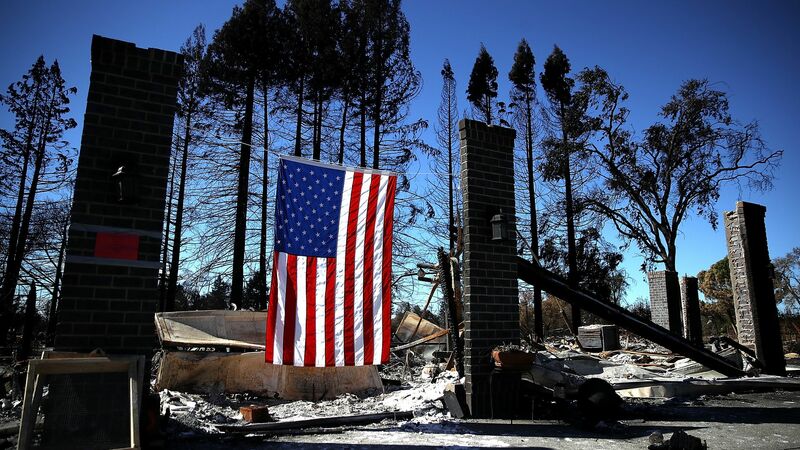 Why it matters: This was the deadliest series of fires in the state's history, the Associated Press explains, and two of the fires resulted in the deaths of 15 people. These 12 fires were part of a greater scale of wildfires that ravaged California, killing more than 40 people and forcing thousands to evacuate.